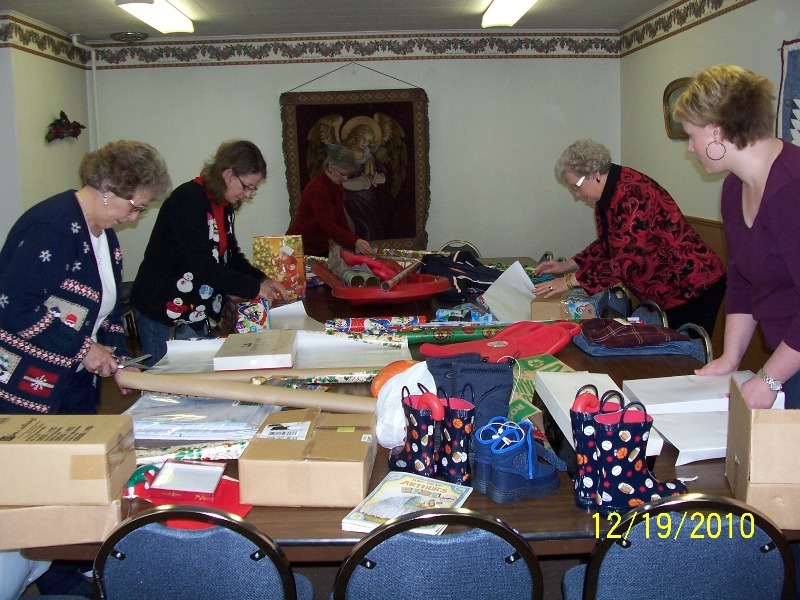 The congregation adopted a family this Christmas and this picture is of the ladies wrapping gifts for the family. The gifts were delivered to the family along with gift cards to Rosauer's, Pamida, and for gas for their vehicle. The gifts also included toys, clothing, and a vacuum cleaner for the mother.